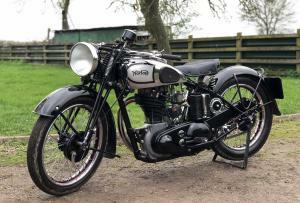 Norton ES2 1937 500 , Rare , Pre-War , Girder Rigid . 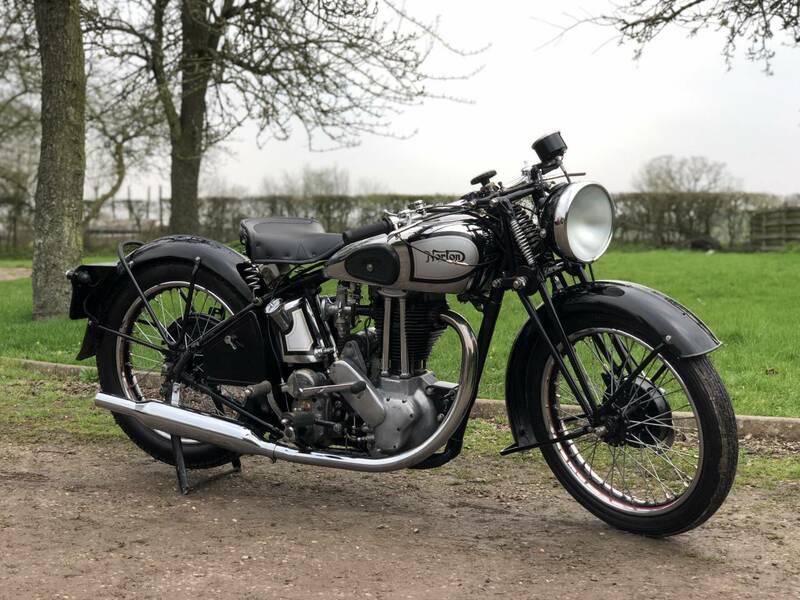 This Example Is In Superb Order , With A Later , Original 1949 Engine Fitted , Many Years Ago . 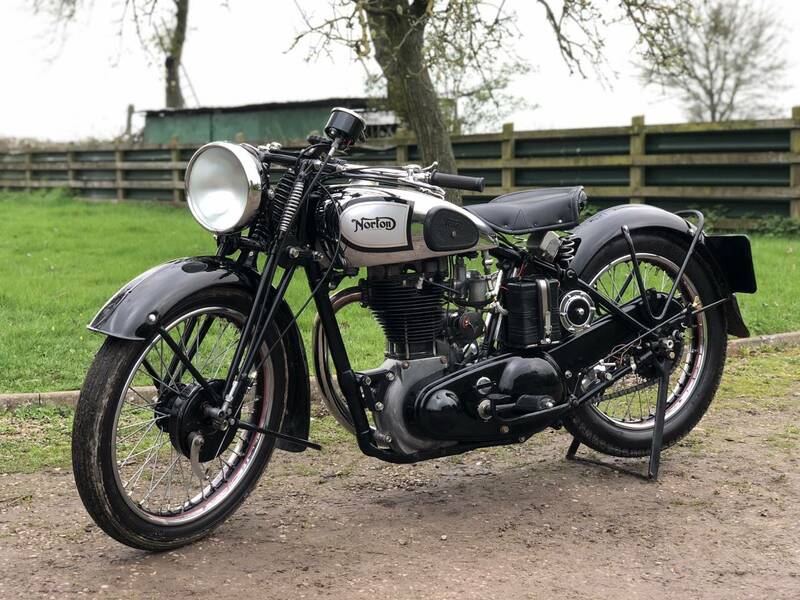 Apart From That , It Looks To Be Very Original And Has Obviously Been Very Well Restored , At Great Expense And Now Looks Lovely , With Age Related Patina . Fitted With A Lovely Chrome Tank ; Correctly Painted , In The Familiar Silver , Black And Red Coach Lined Colour Scheme And Oil Tank Painted To Match , With Lovely Chrome Wheel Rims , Again Correct , With Silver Painted Centres , With Red Coach Lining , Although The Chromes Coming Off The Front Rim And The Speedos A Modern Replacement . The Black Paintwork Looks Lovely . This Example Has A Low Seat Height , So You Can Easily Swing Your Leg Over The Saddle. Its An Easy Starter , Using The Valve Lifter And It Ticks Over Well ; Runs Sweetly And Rides Very Well Too , With Everything Working As It Should.